Winter is still around and we thought it is only appropriate to present a review of some products that are absolutely essential in this weather. Anti-dandruff range of hair care is one of them. And what better than reviewing one of the most trusted, well-known drugstore brands - Head & Shoulders. We are here with a detailed review of shampoo and conditioner from their Smooth and Silky range. Oh, and there is something for you in it. A super giveaway, where we have got two big hampers up for grabs. Feeling lucky already? Watch the video, note down all the details of the contest, leave a comment, participate and who knows, you might just take home this great hamper! 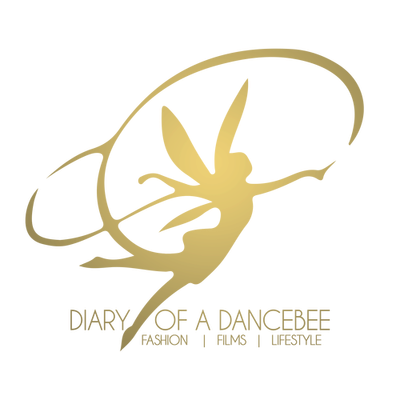 Beauty Month on Diary of a Dancebee just got awesome, and let me tell you, this is just the beginning. Yeah. - Please add the hashtag #HSwithDancebee with your response. We will announce two winners at the end of this contest. Think you are in it to win it? Get, set, go and participate. #HSwithDancebee For me winter means making nice healthy wealthy yummy hot spicy dieshes quenches of taste buds. Going for picnic with students as a school teacher. Celebrations of christams means sharing of love, merriment, happiness, cookies, cakes with children world(Deaf & dumb). To enjoy every moment of life with honesty. It’s great to see the happiness flowing from the faces of mute world where words are weak but emotions have no limits. They express their joy with great enthusiasm. Children are genuine dancying honeybees. This is my sweet winter dream. #HSwithDancebee I love winters.I like to be outdoors in winter as nature gives us a beautiful opportunity to explore it without worrying about extreme heat or rainfall.Ofcourse snowfall is there..but who doesnt love snowfall. ;) Winter is when i plan trips to hill station with my family.Winter means family renuion in the form of cousins wedding ..cos its the wedding season.Visiting Nani and gorging on her home made gajar ka halwa is my favourite winter memory.Lastly taking extra care of my skin n hair...Head and shoulders comes to my hairs rescue. #HSwithDancebee My favourite winter memory is when I visited my Bua's place at Srinagar Where I played cricket and some ice hockey with my cousins ! It may be freezing but nothing can stop the spirit of us in enjoying winter chill. My most loved winter memory is having an unusual winter with sigri(heater), Phiran, ice cricket, having khahwa (kashmiri tea) while it would snow extravagantly!!! I would like to add, Kashmiri winters are the most unusual and amazing experience ever, & that everyone should at least once have! Thank you for refreshing me with a cold breeze of my childhood winter! #HSwithDancebee Winter always takes me back to my childhood days with my little brother. All the fun we used to have together then as we were kids. Warming in the blankets and relishing hot chocolate which our mom used to make. Also how we enjoyed falling sick to get a day off from going to school to have fun at home to play snakes & ladder. These fun memories are very close to my heart. And every year I cherish them during winter as they always refresh me with a feel of freshness and happiness. #HSwithDancebee I Love winters..the Style is always amazing i just love winter clothes. I have so many memories regarding winters. one of my fav unforgettable memory is when I was a child and had christmas mornings with my mom she would make big home made ginger bread men and snowman and christmas trees cookies and put them on the tree with our names on them and when we were able to eat them they were as soft as the day she made them… Really I miss those days. #HSwithDancebee Winter of 2010 is the most close to my heart as my baby turned one that winter and also said his first word ever which was "Amma" I was the most happiest person on the earth that day. With a nice cold weather outside my heart filled with warmth ness with happiness inside which doubled up with lots of love & joy too. #HSwithDancebee Winter is always special as it marks the beginning of the Christmas preparations as well as the time when my entire family is together :) Its a time close to my heart as family time is always happy time. Also as my children are grown up now, it reminds me of how i use to teach my kinds right from when they were toddlers to now how to use lip balm, creams for skin especially winter time, and the proper use of shampoo to keep their hair care intact. A really nice review as well as giveaway. My favorite winter memory has to be from my childhood when I went for a family vacation to Bhimashankar in my Christmas Vacations. I just loved gazing at the clear sky filled with literally bazillions of stars, a sight which we Mumbaikar seldom get to see! Also, we stayed up late, lit up a bonfire, sang songs and ate vegetables we ourselves barbequed in the fire! Followed you everywhere and completed all the steps.